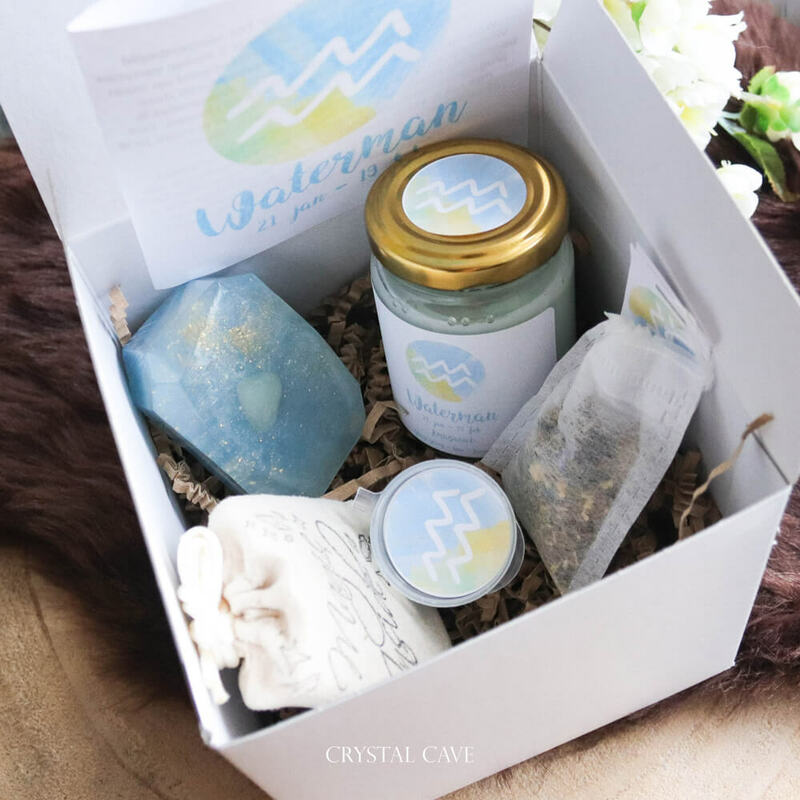 This gift box is specially made for the Aquarius zodiac (January 21 – February 18) and contains 5 small variations of different products that are custom made with this constellation. 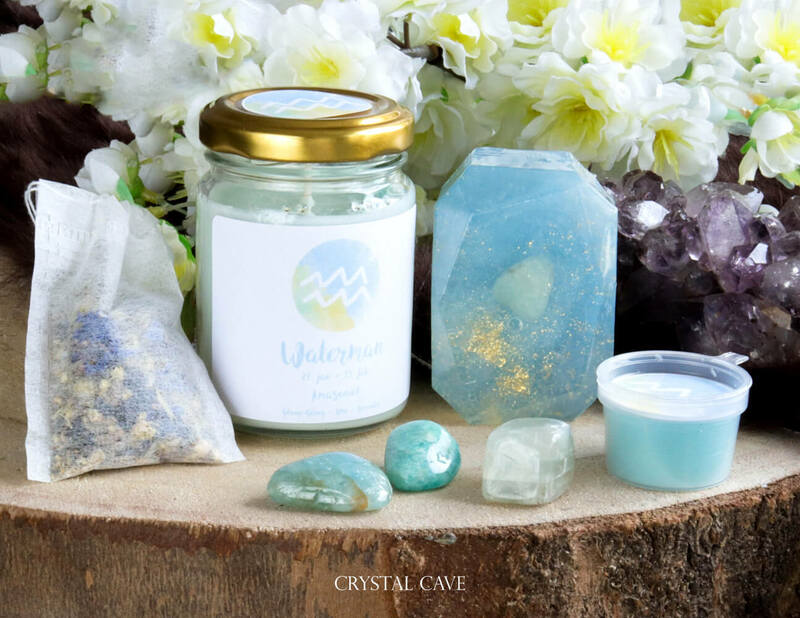 The stones and scents around which these products are made are: Aquamarine, Amazonite & Moonstone, and Mountain Lavender, Ylang Ylang and Lime. A fun, personal gift for someone who is has their birthday in this period or someone who is new with gems and spirituality! Aquarius, you are: kind, loyal, honest, original, inventive and independent. The stones in the products are meant to strengthen your positive qualities. These products can be useful in meditations, carry them with you to remind you of your daily intentions, as decoration or if you just love the zodiacs! These products are in a nice gift box + a brochure about the products and explanation of the stones. Do you like the products and want to see the large / individual products? Contains 3 stones: Aquamarine, Amazonite and Moonstone which are in a hand-stamped suede bag. The stones have been cleaned before shipment.